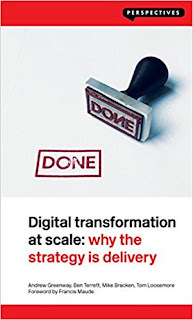 At last Messrs Andrew Greenway, Ben Terrett, Mike Bracken and Tom Loosemore have delivered a book about digital transformation. Yours for £14.99, it's published tomorrow: "This book ... explains how a growing band of reformers in businesses and governments around the world have helped their organisations pivot to this new way of working, and what lessons others can learn from their experience". The authors are described as "partners in Public Digital Ltd", which isn't a partnership, it's a company, and they're directors, not partners. "Mike Bracken", it says in the blurb, "was appointed ... the Chief Data Officer in 2014". Actually his appointment was announced in a 24 March 2015 press release, Local authorities setting standards as Open Data Champions. These little errors may make you wonder about the accuracy of other claims in the blurb, e.g. "the UK’s Government Digital Service ... snipped £4 billion off the government’s technology bill". You would do well to check with the National Audit Office before assuming that that figure is authoritative, there have been problems in the past. Only last month Mr Bracken was bewailing the failure of digital transformation in the UK government. That is just the latest in a series of bitter epitaphs. Mr Greenway, for example, has been at it since August 2016: "GDS is following the course charted by other successful [?] centralised reformers in government. Icarus-like soaring for a few years. The occasional flutter of feathers. Then a headlong dive into the timeless, inky depths of the bureaucratic abyss". 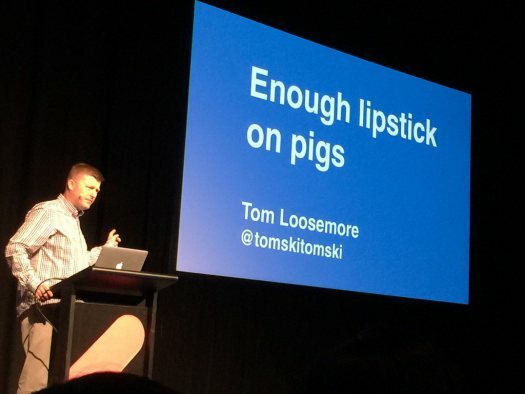 And in October 2015 Mr Loosemore advised the world that, far from GDS transforming government, it had merely put lipstick on pigs, a reminder of GDS's failure to deliver their on-line system for payments to farmers. So who is this "growing band of reformers in businesses and governments around the world [who] have helped their organisations pivot to this new way of working"? 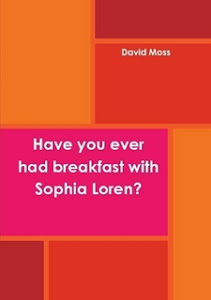 ... we'll have to wait for our copies of the new book to arrive to find out who it is. "This title will be released on May 4, 2018". That's what Amazon say. Three long days to wait. 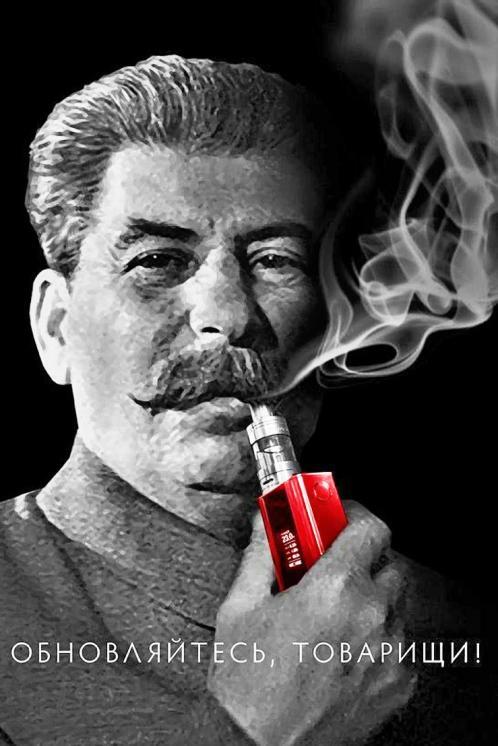 There are some tremendous endorsements of the book. For example Jen Pahlka, Executive Director of Code for America, says "their approach broke open decades of dysfunction and made the public believe in government". She's clearly not talking about the UK, where our dysfunction remains intact. Books that talk about tech or tech change tend to be (IMHO) a tad well 'technical' but this offering from the Public Digital team is droll and funny in parts like the observation that for good working spaces in digital you don’t need pool tables or martinis or mini fridges. Things on walls, decent computers and stickers will get you most of the way. Or in other words 'The digital revolution can be found in Rymans'. ... as long as you know that Rymans is a chain of stationers. And there are lots more of these useful [?] observations like the fact [?] that 'good digital work is a million silent nods of approval, not one loud round of applause'.